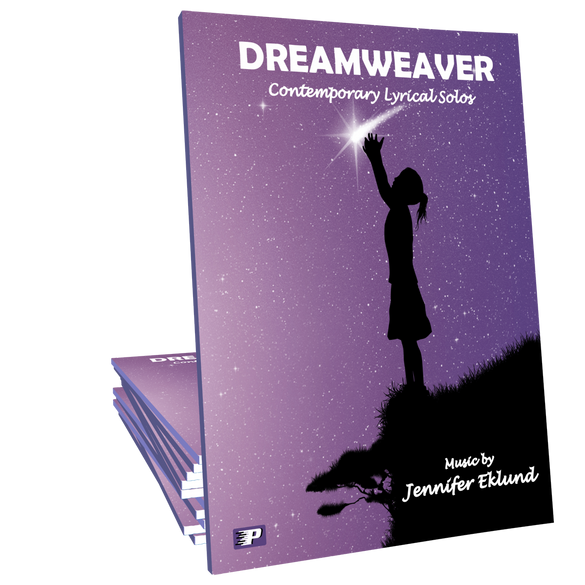 Dreamweaver is a collection of 14 contemporary lyrical solos for intermediates and above. Dreamweaver is one of my most favorite Piano Pronto books. I have several students who are playing from it and they thoroughly enjoy every piece. Also, they are chock-full of valuable teaching points. I greatly enjoy playing the pieces myself. A real jewel. I have an adult student who has been looking for piano arrangements such as these songs. So beautifully written! I know I will enjoy playing them myself!! My students love this book! I love playing these songs, especially when I just want to sit down and play beautiful music. This music is so much fun and enjoyable to play! My favorite is Long Road Home! My intermediate to advanced students love this book. Every single piece is beautifully written. I had to play for an event recently and brought this and New Horizons with me. The music was perfect for the occasion. I am so thankful I purchased this book a few weeks ago! A friend called and asked if I could sub for her church services this Sunday and now I have plenty of material to play because I have been playing from this book since it arrived! The arrangements of Simple Gifts and Amazing Grace are fantastic and Dreamweaver has become a favorite in my studio. Gorgeous melodies in this book! I love playing through each song in my spare time. Cannot wait for my students to be ready for these pieces! My personal favorites are "Sky's the Limit," "Seize the Day," and "Fading into Twilight". A studio must have! Stunning solos to inspire intermediate students. Also fabulous sight reading materials for teachers! I grabbed this book on the way out the door to play for a wedding and basically sight read it for prelude music. 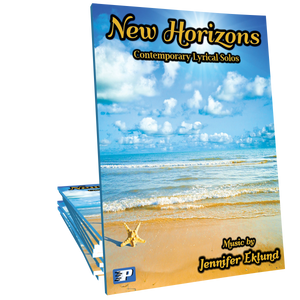 Wonderfully relaxing, lyrical, and totally appropriate for a wedding or anytime you need background music at an event. My teenage students have loved to play the songs as well! The songs fit nicely under your hands! This book is my personal favorite and go-to book when I want to just sit down and play. I don't have any students that are ready for this book yet, but when they are I will be asking them all to purchase this one! I love the original pieces as well as the arrangements of old favorites. Dreamweaver is my new go to book when I need something instrumental for church, weddings, or background dinner music. I love the fresh lyrical sound in an easy to pick up style. Love this book! I have played through this book more times than I can count. 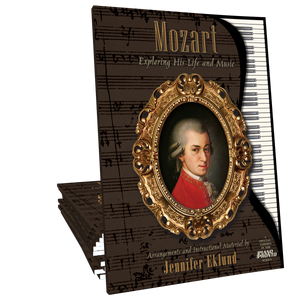 The beauty of the pieces and the emotions that are able to shine through make this book a staple in my music library. Really love this assembly of pieces in such a beautiful hardcover book that is light enough to take along with me. So many great pieces are in here that are such fun to play. Put together in an attractive, reader-friendly format. I play out of this book every day and use it at church a lot. I love the melodies. I'm so excited to get this book! I already have Sweet Farewell and Fading into Twilight--both are beautiful! I'm thrilled to get the selections in this book. Dreamweaver is filled with beautiful, easy-listening music. The students love them and their parents do too. An added bonus is that I can even use these solos for my harp students as well. Absolutely gorgeous on either instrument! I have played pieces from this book for a dinner party, a bridal shower, and an art gallery reception. Every time I do, I received many compliments, people tell me how much they enjoy this music. It's my "go-to" book! I just love to play this music! I just bought this book for my niece and she loves it! My niece is 15 and a typically hard-to-please teenager, but she likes to play all the songs in the Dreamweaver book. Everyone needs this songbook in their collection. My 5 yr. old granddaughter was listening to me play "Hold On" and when I finished she said, "That is my favorite song, play another one." I eventually ended up playing through the whole book and after each song she said, "That is my favorite song". I think she liked it. Another beautiful collection of music! These pieces are so enjoyable to play and to listen to. These are the kinds of songs that motivate kids to learn how to play the piano. The Dreamweaver songbook is absolutely amazing. The songs are perfect, and so nice to play. I love this book, and recommend it to everyone! Congratulations on another stellar work! I can't tell you how nice it is to sit down and play something that just FITS under the hands. These pieces are simply gorgeous! One of my high school seniors will be playing "Sweet Farewell" in her senior recital. How perfect is that? You can't go wrong with this beautiful collection. Just finished playing through DREAMWEAVER. Really enjoyed it. What a fantastic collection of pieces. I highly recommend this book!!! Going to love having this book in my library!! !